Good, Vintage Condition: Good condition with expected wear. One small glass frame is broken and a few small cracks (shown in pictures). 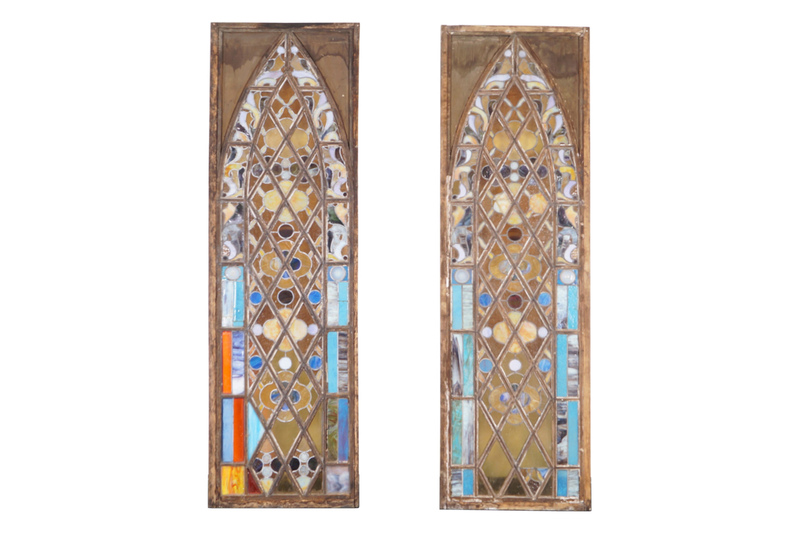 These phenomenal large stained glass windows feature a mosaic design with several different colors. The windows look incredible when natural light shines through it.